Are you in the accounting/financial industry? Have you been wondering if the cloud would benefit your business? Well, you've come to the right blog post. In this article, we want to let you know how accounting and financial organizations can use the cloud to benefit their business. Keep reading to learn more! Even though the cloud has been around for many years, initially it was seen as a tech favourite and a buzzword, it is now moving to becoming a practical application for a variety of industries - including the financial one. Financial organizations handle very sensitive and confidential information. This means that protecting data from cyber threats and investing in a strong IT solution is very important to keep current. With these hassles, a private and secure cloud helps to streamline things and offer a variety benefits for firms that are in the financial field. Keep reading to learn why the cloud is an ideal solution. Those who deal with finances tend to use more third-party software than other professionals in other industries. Having these solutions located and hosted in the cloud allows accountants to access anything from anywhere at any time - for example, client data, financial statements, etc.. Using the cloud is a more efficient way to utilize client data, check figures, and collaborate with clients. With having data synchronized across multiple apps, there's never a worry about having duplicate entries or different versions of data. With having a private cloud, this offers finance individuals the best protection and company data. When the switch to private cloud occurs, many companies increase their security while reducing their internal costs. A private cloud is maintained by a cloud host. This host is responsible for keeping things running. This means that there are automatic software upgrades and patching, less downtime, and fewer interruptions that could affect employee productivity. For the perspective of security, a private cloud often has a stronger data centre with stronger security than your organization probably has. There are many layers of security that will keep software and data safe from cyber criminals and physical threats. Many financial organizations rent cloud infrastructure that they need from a host instead of purchasing it all; the way those who manage their own IT do. With renting cloud infrastructure, this allows businesses to scale up when their needs change (for example, growing or scaling down). Another example is for when small accounting organizations supercharge their services during the tax season or lower their capacity when the season is slowing down. With this scalability and flexibility, is usually included into a cloud contract; meaning that you can have full control over the resources that you are deciding to purchase and you can add users or change the requirements whenever you need to. Since applications on the cloud can run on any platform, there is no need to switch to the latest version of Windows or worry that the Macs you use won't be compatible anymore. Since there is no need to upgrade the platform or operating system, your company is able to save money in the long run. With moving to the cloud, your organization is able to save on energy costs, tech support, etc.. With unplugging servers that are located at your office site, you'll be able to lower your electricity bill. Since, tech support is built into the cost of your private cloud, you won't have to pay extra for maintenance or troubleshooting. Also, your company will benefit from the latest tech tools, new apps, and cyber security protection when you make this switch. Many companies in the financial field have a contract with a third-party for backup, while other firms rely on internal backup solutions to protect data. Both of these options are vulnerable to the possibility of being a victim of a cyber attacker. If a business loses data in an attack, the reputation of the company would be severely altered. The cloud uses DRaaS, also known as disaster recovery as a service, model. A vendor who provides cloud services can replicate your data in a separate, redundant data centre. Because everything is hosted in the cloud, there is no need to visit a data centre or request hard copies of files that you need if something wrong occurs. With using DRaaS, employees are still able to work with the data they need if there is a power outage, flood, or any other crisis that could occur at a offsite data centre. If your data centre suffers a breach, you are able to access secure redundant copies of everything that you will need. On the back end of things, IT professionals will work to get things back up and running as quickly as they can, while also providing your organization with a quick recovery solution so you aren't in limbo for a while. Many cloud providers offer 24/7 service and support that is built into your plan. With the DRaaS model, you can also lower costs while introducing a better solution for your firm. If you have been searching for an affordable disaster recovery solution that helps to protect your business from any cyber threats while also meeting financial compliance regulations, DRaaS is a great option for you. With taking into account of all the benefits that are mentioned above, it should provide a clear picture that moving to the cloud lowers costs while also improving services. With anytime access to disaster recovery, the cloud is able to save your company time while increasing access to live data. Your clients will enjoy the result of faster services. In addition, employees can focus on their jobs without having to take on the role of being an IT person when there is a problem with the system. 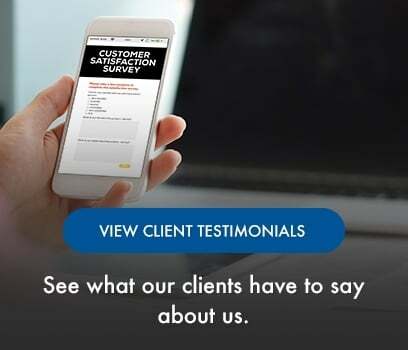 Financial individuals can provide business owners with real time info, ultimately guiding decision making and improving customer satisfaction. As a whole, the company receives security and data protection that is increased all from making the decision to move to the cloud. Client and corporate information is able to be secured and stored in one place, where it is safe from cyber attackers. To learn even more about these benefits, look to a cloud provider who has experience with moving organizations/financial companies to the cloud, has disaster recovery capabilities, and aligns with the budget you have for a private cloud. Cloud computing is staying; and with financial organizations move to the cloud, your firm will be affected in some way or another. 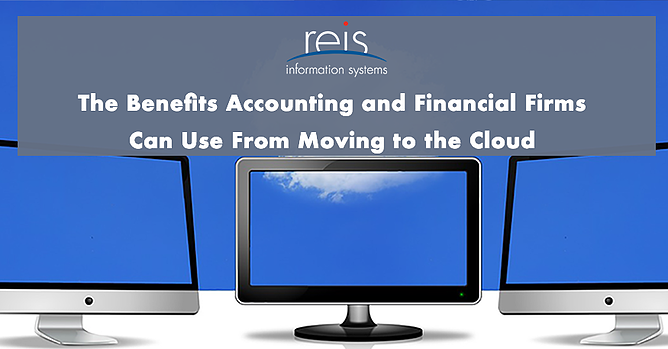 Through learning more about benefits of the cloud and the migration steps, you can keep continuing to offer what you offer the best - accounting and financial services - while growing your company. Do you have any more questions about moving to the cloud for your financial firm? Feel free to comment below; we'd love to answer.